A few years ago Honda decided to restructure their product portfolio to reach a larger number of customers. The focus changed from premium offerings like the Civic and Accord to smaller cars like the Brio and Amaze. This was a smart move since the volumes lie in the smaller car segment when it comes to India. The Brio, by itself, may not have done too well for the Japanese manufacturer but more than half of Hondas products are based on the same platform. (Amaze, Mobilio and the upcoming Honda BR-V). 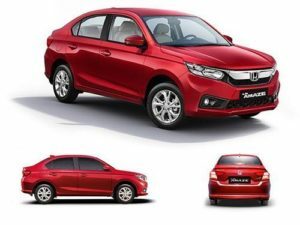 Indian regulations of excise benefits to sub 4-metre cars and the love for 3 box design has made compact sedans very popular and Honda entered this challenging segment with the launch of the Amaze in 2013. Honda Amaze On road price starts from 5,50,248/-. Check for price details of Honda Amaze in CarzPrice.